As has been stressed in many of my writings, I strongly advocate researching and planning one’s subject before a photographic outing of any duration. That helps clarify objectives, strategies and detailed plans to increase the likelihood of capturing strong images. But, what happens when the universe doesn’t cooperate, and the most important objectives cannot be achieved. Is the trip a total loss? Or are there ways to salvage it? My week in Rocky Mountain National Park (RMNP) in late September this year provides an excellent example of this quandary and of an approach to salvaging a photography trip to produce good results. I have photographed elk for decades, mostly as elements in broader efforts to visually describe particularly beautiful environments. This year I decided to focus primarily on images of elk at a dramatic time in their lives, the annual elk rut when elk literally go mad in the drive to procreate. 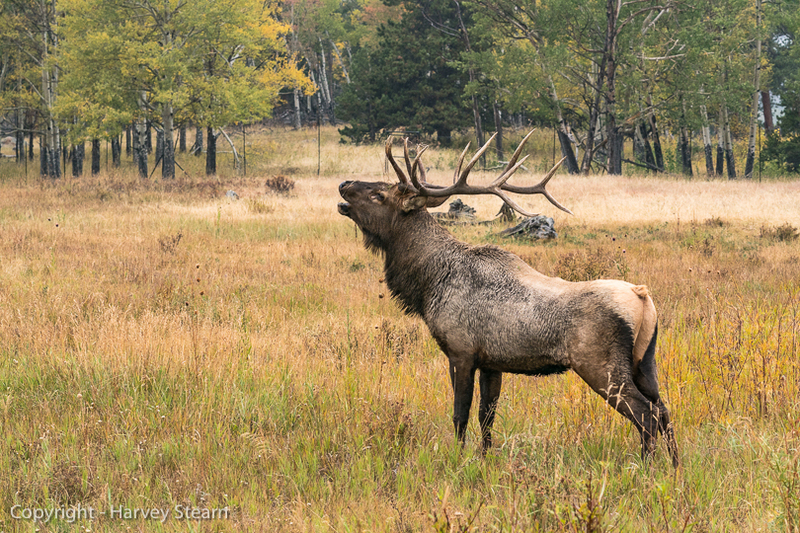 To appreciate the drama of this annual rite of passage, it is helpful to know something about elk behavior and of the environments which shape it. Elk are the second largest species of the deer family, with bull elk weighing up to 1,000 pounds, and elk cows up to 500 pounds. Only moose are larger. 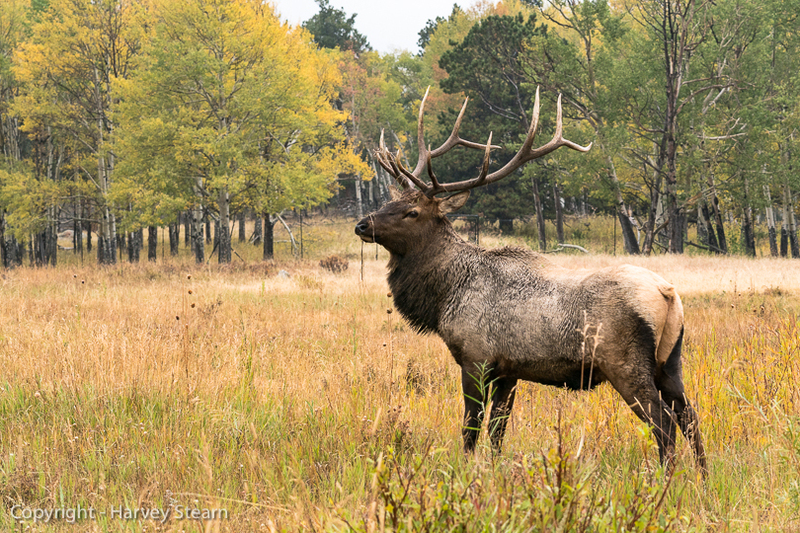 Western elk are also known as Wapiti, a native American term. 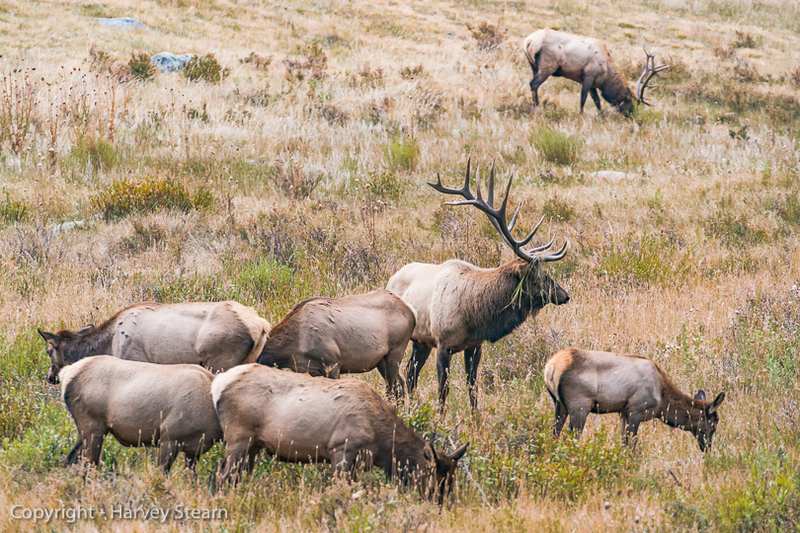 Approximately one million elk now live in Western American wilds. 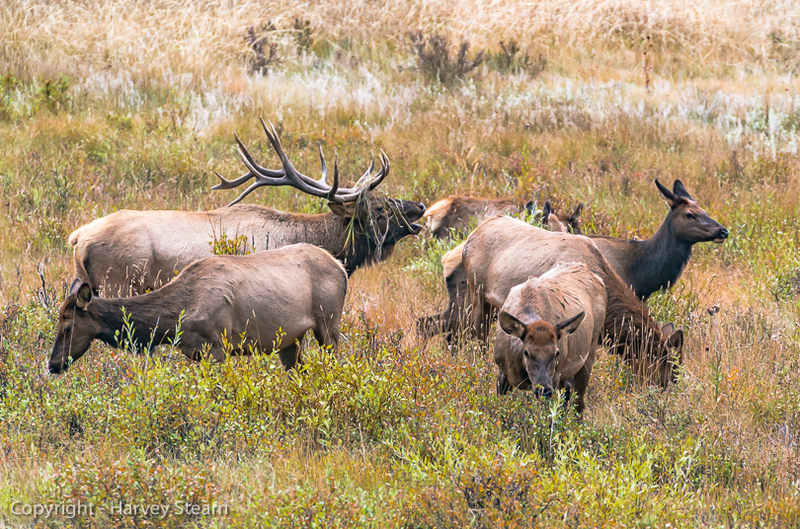 Before European immigrants pushed westward, an estimated ten million elk flourished in these same lands. Their migrations were always viewed with awe and admiration by people who spent much time in western mountains and valleys. These migrations are not like the more famous African ones which cover thousands of miles annually while following major weather patterns across vast African plains. 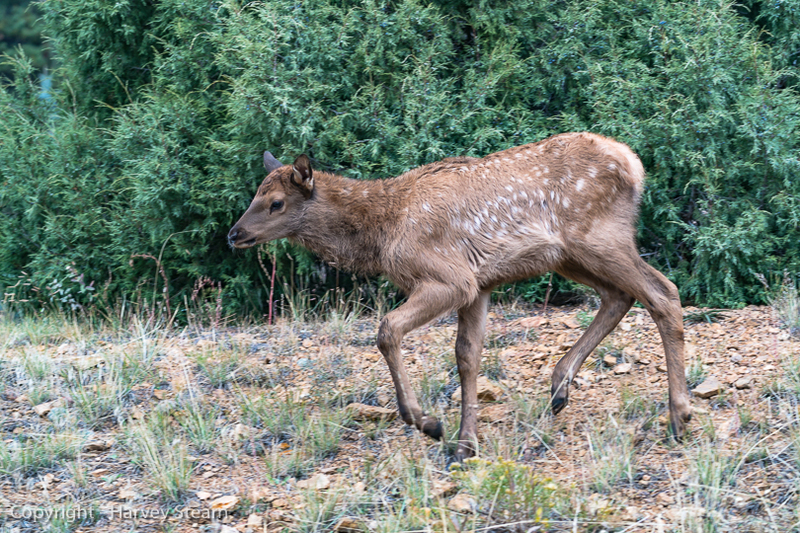 Elk merely move up and down between different temperature zones in mountainous areas in late spring and early fall for reasons of comfort and nutrition. Their “migration” may cover 50 miles in some areas like the Colorado Rockies or as much as several hundred miles in the greater Yellowstone eco-system in Wyoming and Montana, the distance being determined by terrain lying between the colder and warmer temperature zones. Every major mountain area in the west has its own herd, some with characteristics that differ from other regional herds. For example, the Roosevelt sub-species in the Pacific Northwest attains the largest body weight. 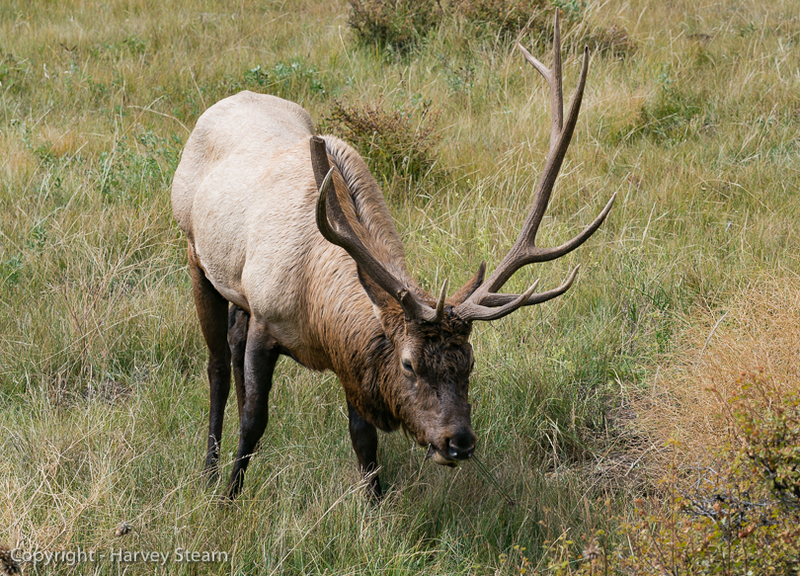 But, elk bulls of the Rocky Mountains grow the largest antlers, which can weigh up to forty pounds. 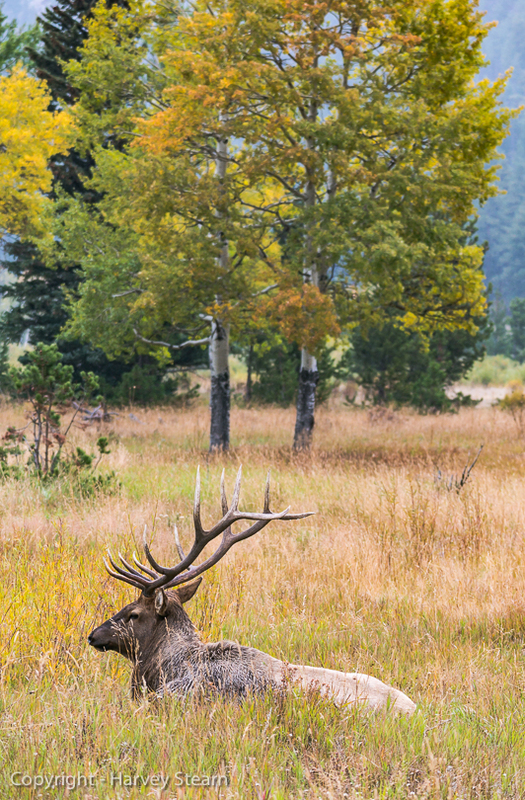 Bull elk achieve sexual maturity during their third year. In following years, their antlers grow larger and have more prongs or points. Their body weight and antler size have much to do with their likelihood of successfully attracting and keeping multiple female elk in “harems” long enough to mate when the females come into estrus. Some successful bulls assemble their first harems as five-year-olds and typically sport antlers with six definable points on each side. The bulls that build the largest harems and defend them successfully are most often six and seven-year-olds who’ve been “around the block a few times”. These older bulls are noticeably more muscular and massive and will sport seven or more points on at least one antler. Their experience shows in the way they move and control their harems to avoid losing cows that stray and are picked up by other bulls. Part of this interaction involves a wide variety of grunts, chuckles, and high pitched calls referred to as bugling. Elk are in fact the most vocal of all American deer family species. Though bulls bugle and grunt, the cows have a wide repertoire of mews and chuckles with very specific meanings. The opening image under this article title shows a “discussion” going on between a dominant bull and one of his cows. This occurs with some frequency. On occasion, bulls that are evenly matched in size and strength will fight for dominance by locking their antlers and pushing each other around until one of them gets tired and retreats. This is called sparring. It often occurs playfully between immature bulls of three years or less. But, the combat between older bulls competing for the breeding rights can be rough and on occasion fatal. In these contests, the losing bull often sustains hurtful but recoverable injuries. Consequently, most bulls avoid such contests by sizing each other up for relative size and vitality, and even by smelling the testosterone given off by the opposing bull. Any mismatch will quickly result in the less capable bull withdrawing before the confrontation becomes physical. It is the specter of this dramatic conflict that led me to select Rocky Mountain National Park for my trip and to choose the last week of September as the time of visit. Elk in that area spend the summer in the cooler Sub-alpine and Alpine zones at altitudes ranging from 9,000 feet to over 12,000 feet. The small plants found on Alpine tundra also yield better nutrition and calcium helping bull elk grow larger and stronger antlers before the first snows signal it’s time to descend to milder environments below 9000 feet. This milder zone is known as a Montane and includes the more accessible RMNP meadows as well as the city limits of Estes Park. The Autumn migration takes place in early to middle September. But, with elk cows, the height of estrus occurs within several days of the Autumnal Equinox on September 21st. As soon as the bulls scent this change in the air, they become completely focused on mating. The frenetic 30-day period between September 15th and October 15th is the annual Autumn Rut. In looking back, the second or third week of September might have been better timing to capture conflict between bulls before most harems are formed. However, I chose late September because Fall color would be more in evidence. Before entering RMNP I talked to a park ranger at length. He told me that actual sparring between bulls is a rare event and that despite daily patrolling of the parklands he only witnesses this activity about once each year. 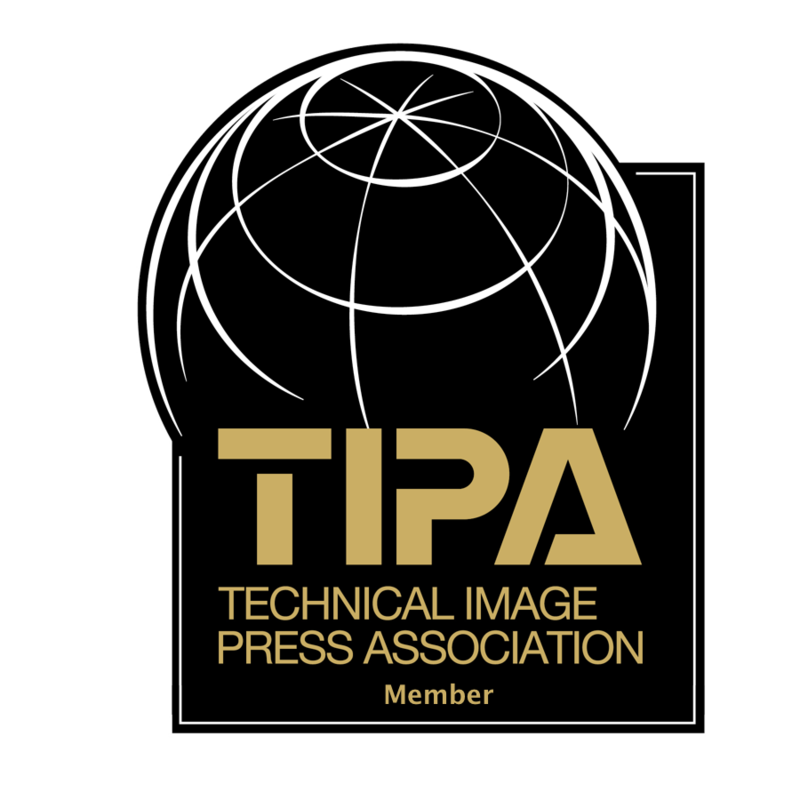 Like so many photographic events, it’s a matter of “right place-right time”. RMNP is so large that those odds are very small for any given location and time. Despite my research, it looked very much like I would not realize my #1 objective. The weather wasn’t conducive to great photography either, as mornings and evenings were often rainy or hazy. 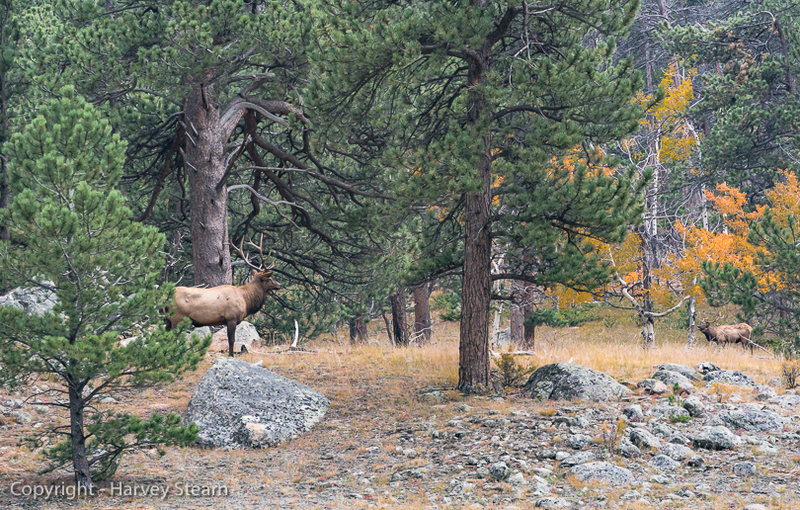 And, RMNP regulations do not permit visitors to go off park roads after 5:00 PM to get closer to the elk. 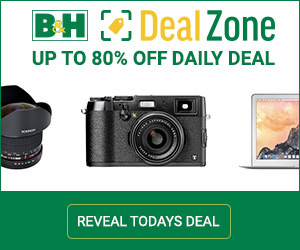 This pretty much dictates the use of long focal lengths which greatly limits perspectives. Thus, I had to give up my quest for dramatic images and concentrate on the subtler behavior and actions of competing bulls in their efforts to form and maintain harems. I also expended more effort to show the elk in their environment. 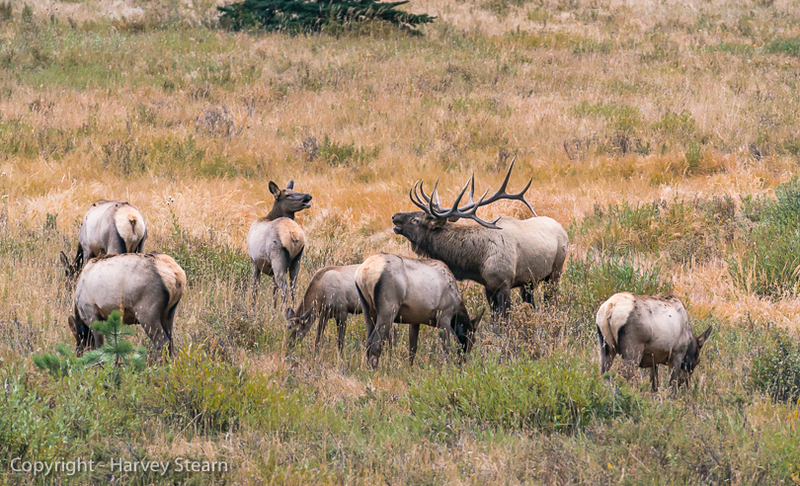 As the elk were most active between 5:00 PM and 7:00 PM, my daily routine stabilized around park exploration in the mornings, lunch in mid-day, elk photography after 5:00 PM and image processing after dinner. 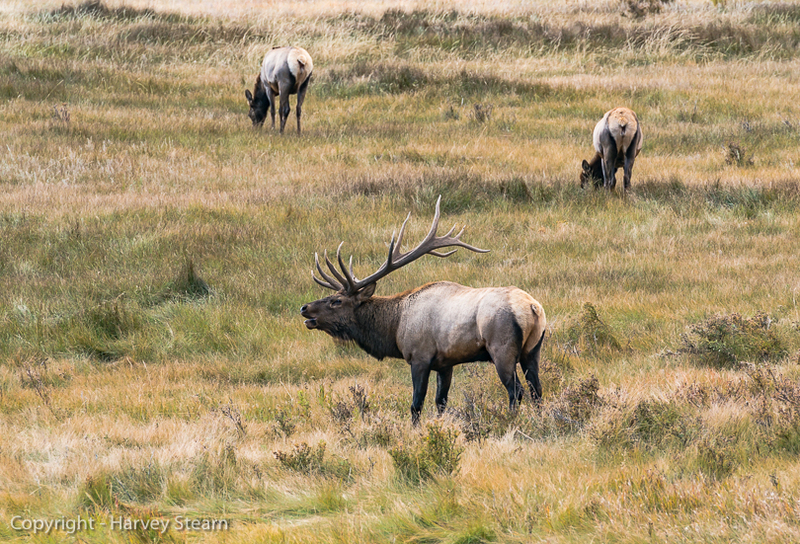 After several days of that, I realized that I was really creating a broader photo-essay on the elk rut. And, perhaps that is more valuable than bringing back a trophy image of a rare event. The preceding images and comments, and those that follow tell a story. And in the process of putting it together, I developed a deeper understanding of this corner of Nature and of some of the challenges facing wildlife because of human impacts on their needs and rhythms. The rut begins with many bulls rolling in mud created by their urine to make them look rougher and smell more masculine, followed by raking vegetation to adorn their antlers. This behavior may seem puzzling. But, to me it is rational. By far, most confrontations between bulls end without a fight when one bull decides that he is overmatched. Any action that makes a bull look or smell stronger, or make his antlers look larger, is a psychological advantage that might enable a victory without risking a painful loss. I noticed that while all the bulls adorned their antlers with vegetation, the larger more muscular bulls did not have mud-caked coats reeking of urine. Their uncoated show of muscle was sufficiently intimidating. 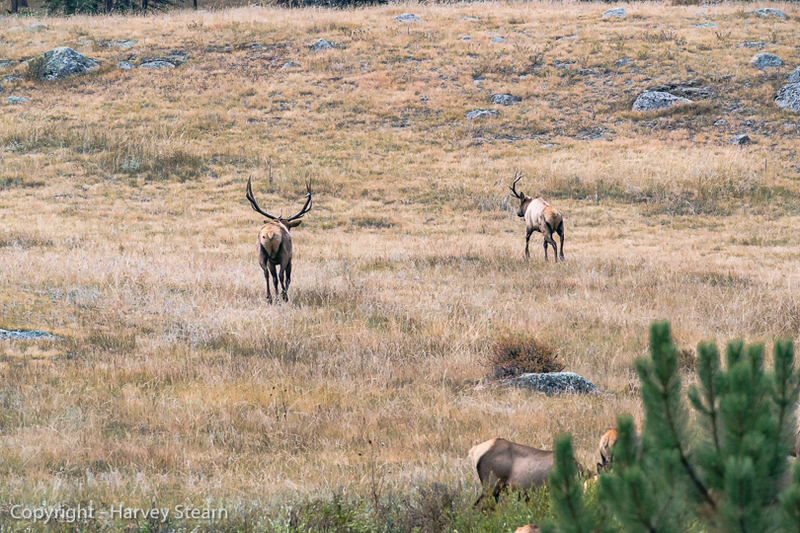 Is elk rut behavior much different than what young men fighting over turf and women do with tattoos and ear piercings? Once properly arrayed, this bull bugled loudly to broadcast his eligibility to any cows that might be in the area, and to suggest to rival bulls that he is a force to be reckoned with. He then paused to look around to see if any cows were answering his call. Because he was four or five years old and not yet imposing enough, and because few cows were unclaimed at this later stage in the rut, this bull was most likely destined to wait another year or two before he would have cows of his own. However, not all younger bulls will give up while hormones are still airborne. Some will hang around areas occupied by large harems assembled by larger bulls, hoping for an opportunity to capture a wandering cow at a time when the dominant bull might be distracted. The larger the harem, the harder a bull must work to keep his harem together, and to keep “poachers” away. He cannot rest until each of his cows have come into estrus and he has covered them all. This large harem belonged to a massive bull operating just outside the scope of this image. He is shown in the next two images collecting several cows on the periphery and warning other bulls to stay away. On an earlier day in the lower part of Horseshoe Park, another large 7-point bull was consolidating his harem while four different bachelor bulls hung out near the edge of his staked-out territory. None of these other bulls was large enough or sufficiently strong to challenge him directly. In fact, one of them had been defeated in a battle that broke off one of his antlers. But, like the others, he hoped to steal a cow or two. I watched the harem leader for quite a while, as his situation was more fluid, and he was on the move constantly to keep an eye on nearby bulls and to make sure that they kept their distance. At one point, he left his harem bunched together in the meadow to check out a new rival who was bugling just beyond a stand of trees. This bull was smart enough to do his surveillance unseen, knowing that he risked losing part of his harem to other bulls if he answered a challenge too far from his cows. After returning to his cows, this bull started rounding them up as he warily kept an eye on a nearby bull. Like the other bachelor bulls hanging around, this one pretended to be disinterested, as he grazed to avoid provoking a reaction and waited for an unguarded opportunity to steal a cow. The dominant bull repeatedly bellowed his warnings. Later, the bull who lost an antler in an earlier battle got too close to one of the cows. In the next image, the dominant bull reacted and ran the other bull off. 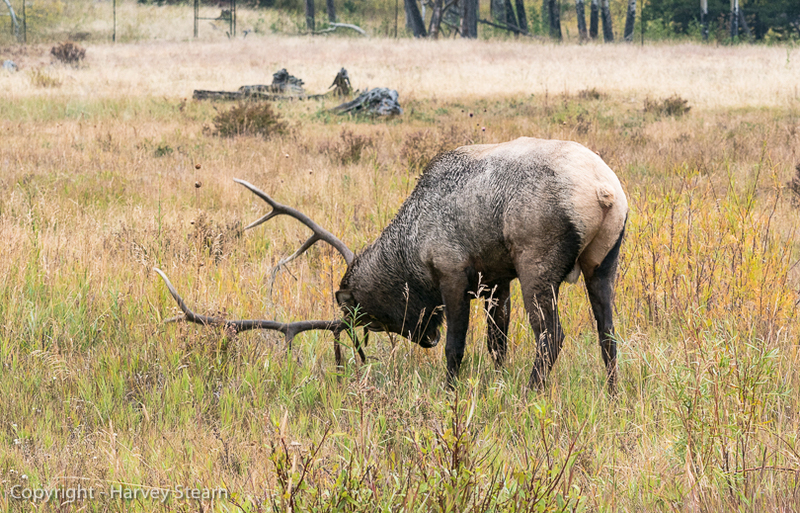 Soon after, the big bull raked the ground to drape fresh vegetation on his antlers. He moved his cows into a tighter cluster and then herded them to a more defensible location. The next two images show him moving cows while tasting the air to see if any of them had entered estrus. It may seem sad that relatively few bulls successfully mate each year while most others must wait another year. But, this is Nature’s way to ensure that only the strongest and most capable bulls pass their genes on to the next generations. Some of the unsuccessful bulls will gain both experience and size in the following years to become successful in their quest to reproduce. The bull in the next image looks healthy and unfazed despite losing parts of one antler. He will live to fight another day, and most likely to have offspring. When the rut ends later in October, the elk will hang out in larger groups continuing to graze and for the most part enjoy a mild winter. By early Spring, the bulls will drop their antlers. In late May to early June, the cows will find protected areas to deliver their calves which, like deer, will be spotted to provide camouflage. The calves will weigh about 35 pounds at birth and will put on weight rapidly. By July, they will be large enough, and sufficiently capable, to make the annual journey to the high country. The mature males will grow new antlers, and some will hang out in bachelor herds while others live in solitary until the whole cycle begins anew. There is a comfort to this as the ancient cycle inexorably repeats itself. But, this is not the whole story. 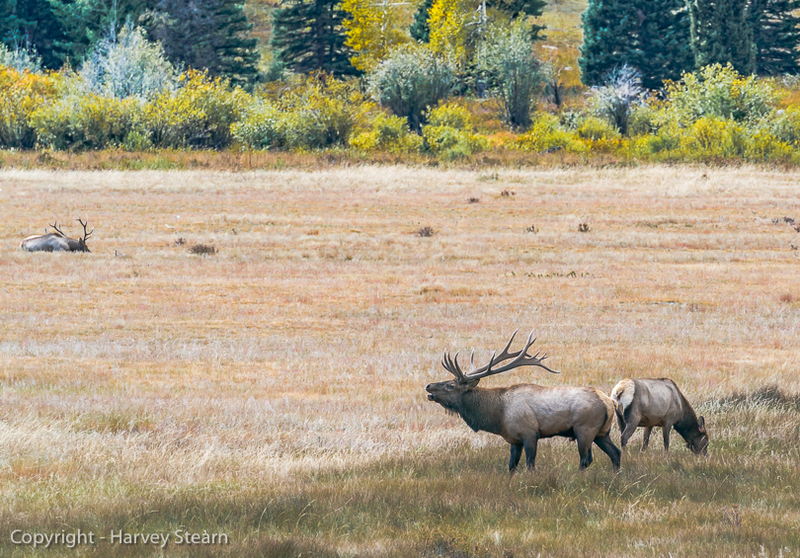 In places like Estes Park which borders RMNP, the elk return in large numbers and walk through town, while some hang out at golf courses to graze. 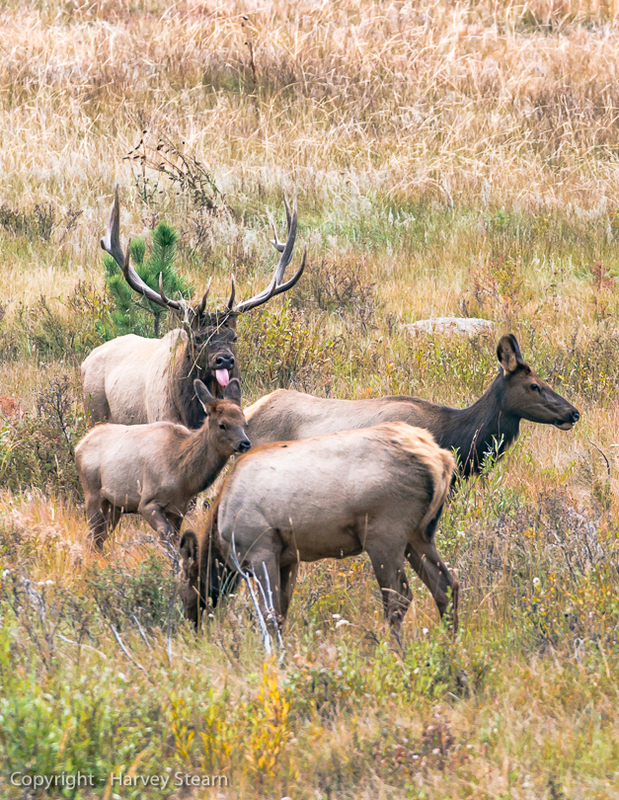 Though Estes Park residents are used to this and are deferential to their wild friends, new elements of stress confront the elk herd as the animals must cope with man-made obstacles. On my second day, while driving along Route 34 to have lunch in town, I noticed a large bull with about twenty cows and a few calves milling about someone’s front yard. I pulled over to take photographs and waited to get a clear shot. But, as the bull urged his cows to jump a fence to get to their destination, one of the cows refused to move. At that point, the homeowner’s dog got out and started chasing the cows. In the chaos that followed, the reluctant cow took off and crossed the highway with the bull following her. The rest of the harem milled about in panic, unsure of what to do. An older cow started to mew and gather the other cows around her as she prepared to take them across Highway 34. 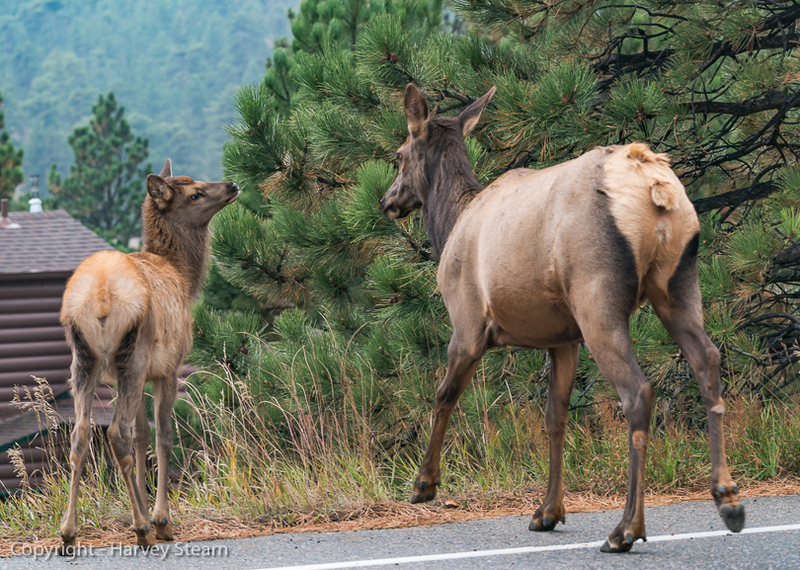 As I realized what was happening, I ran to the center of the road to flag down cars that were whizzing by at 50 mph, not only to protect the elk, but also the dog that was chasing the elk in the middle of the highway. Fortunately, another motorist and the dog’s owner joined me, and we got the situation under control without casualties. 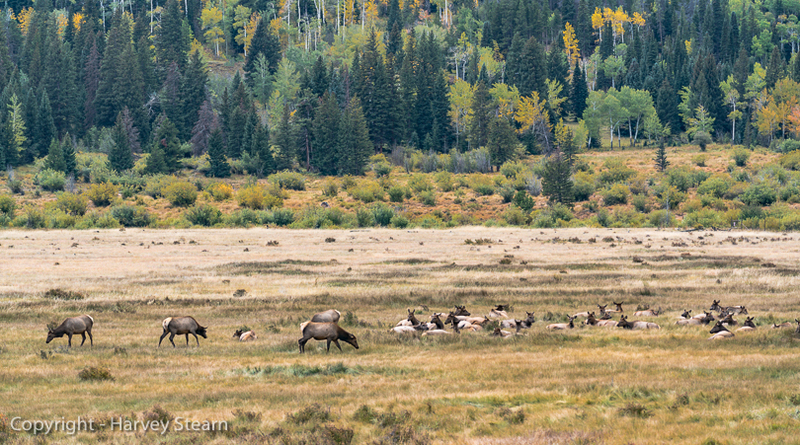 Amid all the confusion, I did take a few images that captured the stress that these elk experienced. The last is of a late-season calf that still had its spots, and was running to catch up with the herd. To disabuse any thoughts that this incident was an isolated one, on the very next day on the same stretch of Highway 34, I saw a battered bull that had been injured in a fight with another bull. He had broken antlers and a noticeable limp. And, he was trying to cross the highway from the other side to get to a place where he could rest. I pulled over and opened my door. At the same time, the bull started across and then pulled back quickly as a car zoomed by. He made one more nervous attempt and then started to pace back and forth on the side of the road. I ran to the middle of the road and stopped the cars in both directions. The bull was unsure of what he should do next. I walked slowly toward him and urged him to cross while saying “Come on, it’s alright now!”. I felt pretty lame trying to talk to an elk. But, he glanced at me, then at the stopped cars, and hurriedly limped across the highway. I’ll never forget that he paused on the other side of the road and looked at me before disappearing into the trees. It was a feel-good moment. But, I can’t stop wondering how many elk have been injured or killed in similar circumstances. 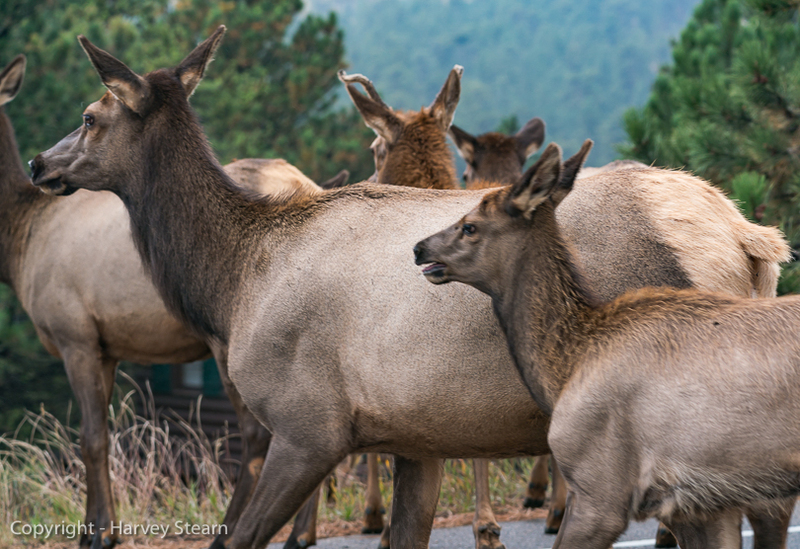 The City of Estes Park and the Park Service do their best to direct traffic and warn drivers about elk crossings. They also do an excellent job warning people to give the elk space and not stress the animals. Yet, there are always those visitors who ignore rules and directions. Wildlife has enough to contend with even when human presence is minimal. Though it appears that Estes Park has been able to work out a reasonable coexistence with their elk, they are probably a rare exception. This issue is complex. But, we must find a better balance between our needs and the needs of our wildlife. 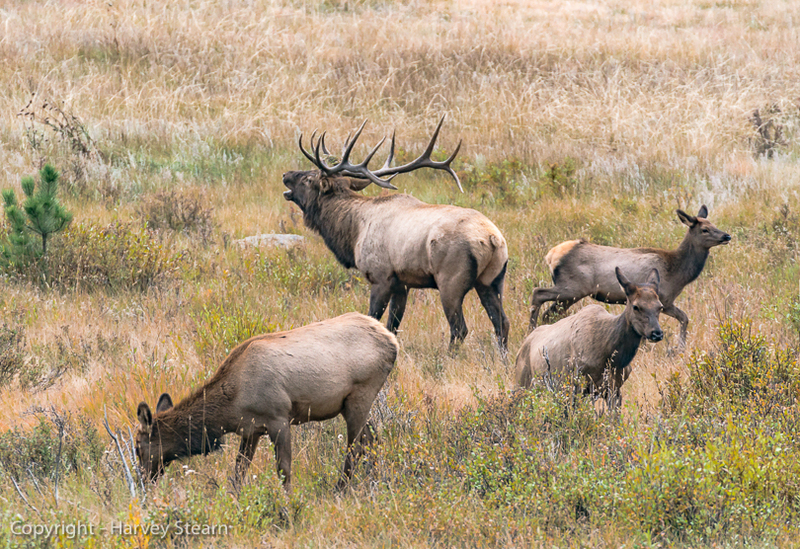 Technical Notes: All elk images were captured with a Sony A9 mirrorless camera and a Sony FE 70-200mm f2.8 GM lens with a matched Sony FE 2x tele-extender. The image of the alpine vista from Trail Ridge in RMNP was captured with a Sony A7rM2 mirrorless camera and a Sony Zeiss FE 35mm f1.4 lens. 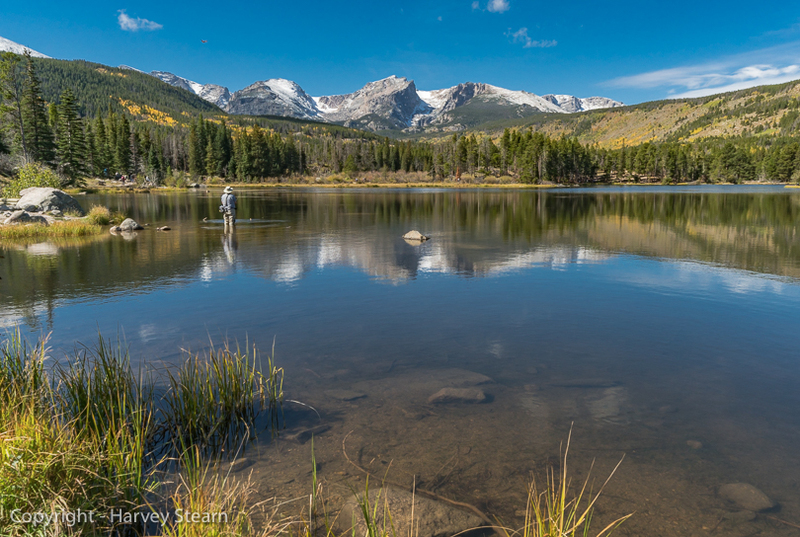 The image of Sprague Lake was captured with the Sony A7rM2 camera using the Sony FE 12-24mm f4 G zoom lens. Harvey Stearn has been making fine art photographs for his entire adult life. But, he first photographed wildlife and landscapes in Western National Parks in 1951 during a cross-country automobile trip with his parents.